Glamper Greetings for the “camper” in all of us! Camping may not be for everyone, but the Glamper Greetings stamp set has camping enthusiasts covered! It includes images and sentiments for birthday, Halloween, Thanksgiving, Christmas and “snowbirds”. 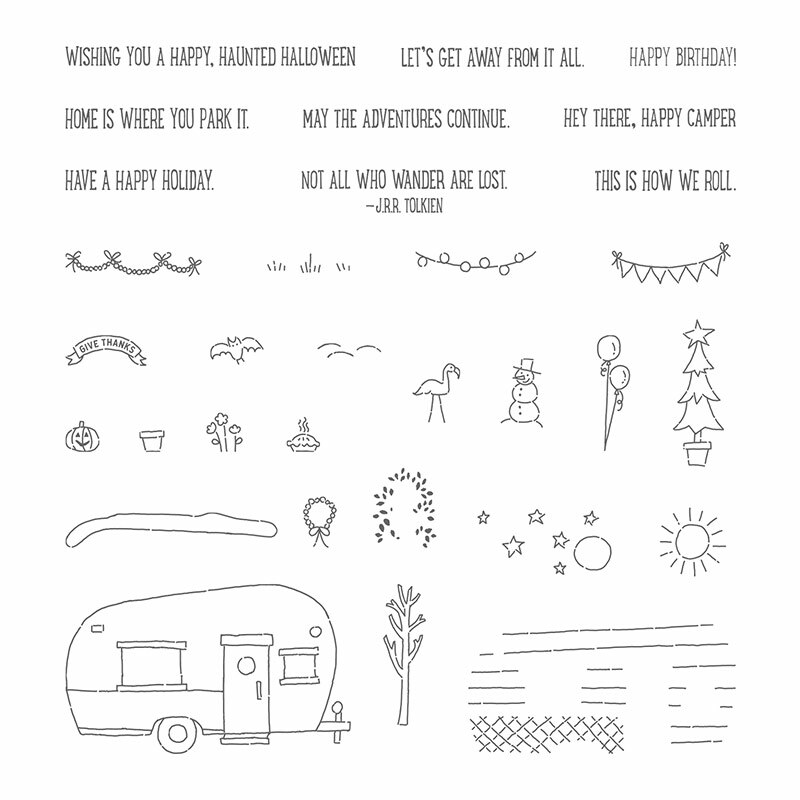 Even if you aren’t a camper yourself, this set will make wonderful cards for friends and family who do embrace camping! Sale-a-bration! It’s a wonderful celebration. Choose a FREE Sale-a-bration item for every $50 order. Order online – please use Host Code 3WPV2B0H at checkout and receive a free gift from me. #camping, #snowbirds, Glamper Greetings. Bookmark.